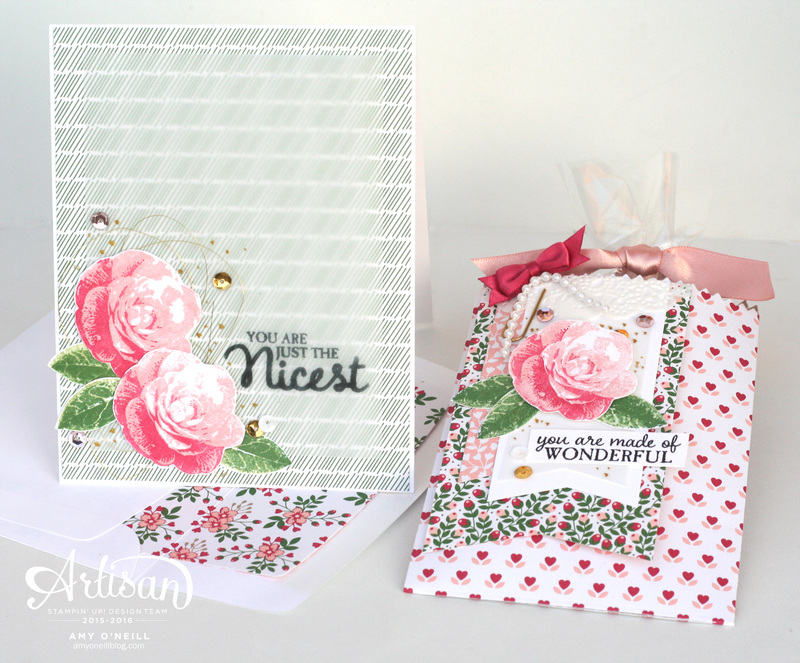 For this blog hop, we were asked to focus our projects on the Love Blossoms Designer Series Paper Stack. 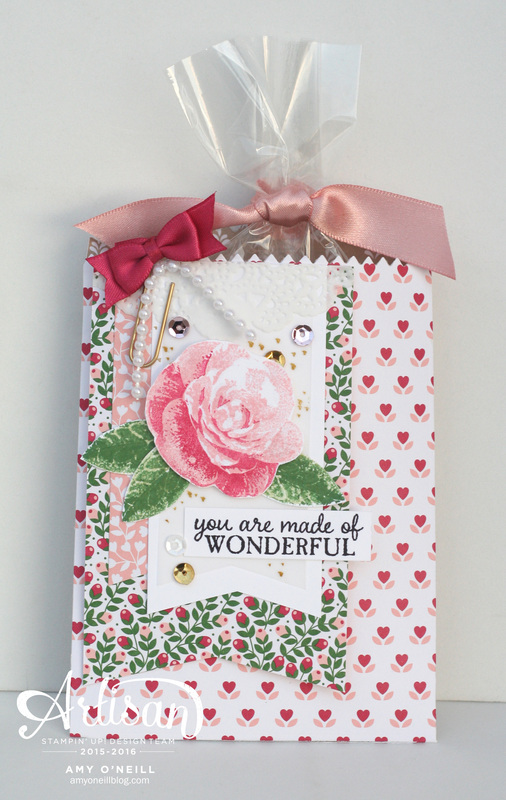 I decided to make a little treat bag and coordinating card using this paper and the Picture Perfect stamp set. I used the Mini Treat Bag Thinlits die to cut out the bag. I love how the paper is double sided, so you can see little peeks of the other pattern on the inside of the bag. I cut out some banners and layered those together. Then I stamped the flowers and cut them out by hand layering them on the banners. 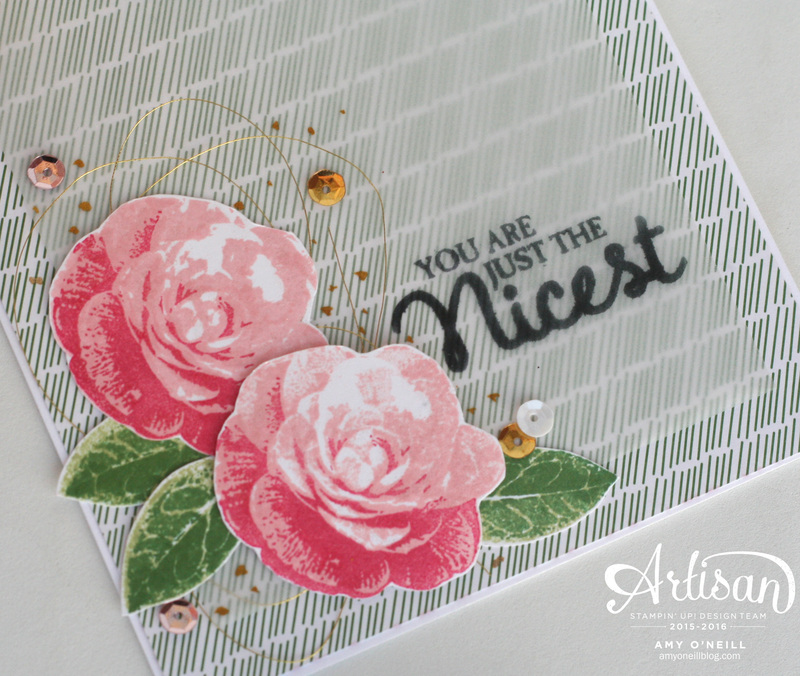 These flowers are three-step stamping and were created using Blushing Bride and Rose Red inks for the flowers and Garden Green and Pear Pizzazz for the leaves. 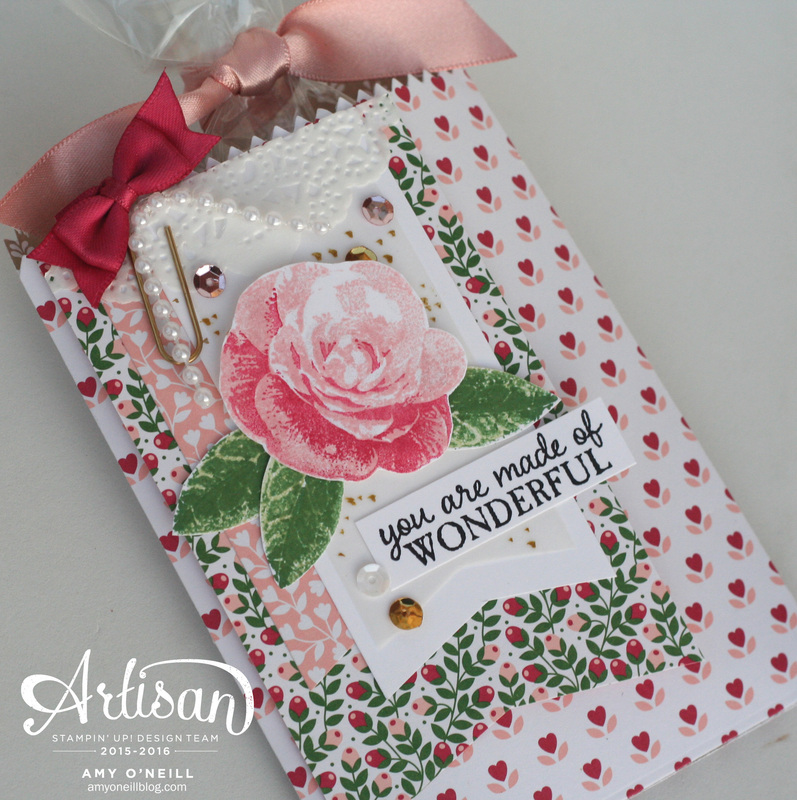 I also used the Love Blossoms Embellishment Kit for some of the fun accessories on this bag. See the little string of pearls, the sequins and bows — all from the kit. I also added some gold spatters using the Wink of Stella Glitter Brush. I wanted to make a card to go with this little gift. 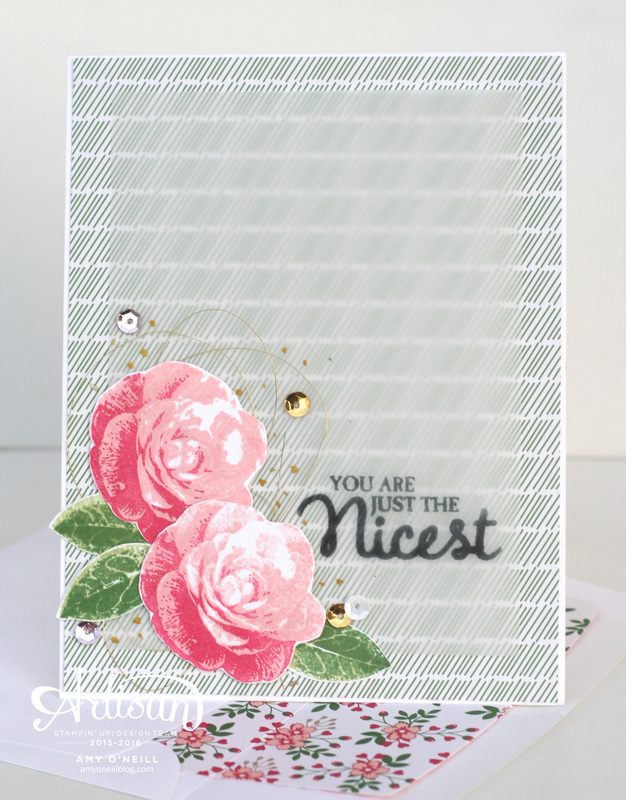 Because there are so many coordinating papers in this designer series paper stack, it was easy to make a card that coordinates without exactly matching. I started by adhering the dsp to the card base and then layering a piece of vellum card stock on stop of it. The flowers were made the same way as those on the gift bag. I just added some Gold Metallic Thread under the flowers on the card.